Have you ever seen someone juggle six tennis balls? It’s quite grand, yeah? The more you stare, the more the juggler impresses you. Not long after watching him (or her) handle six balls – tennis balls of course – it’s likely that you’ll want to try it too. Has this ever been true for you? I can tell you one thing; it has definitely been true for me. When I saw how marvelous-looking it was to juggle that many objects with only two hands I immediately wanted to give it a go. Well, let’s just say I spent more time crawling on the floor looking for the damn things than actually juggling them! I thought juggling two balls would be a breeze. It turns out that juggling two balls is as difficult as juggling six. It became quite clear to me that day that juggling is not for me. So, as you can imagine, my life carried on as normal. What’s a normal life? I guess it’s one where juggling balls isn’t a requirement…until I walked through the doors of The Knowledge Workshop. Okay wait, let me rephrase and leave the ‘balls’ behind this time. When I walked through the doors of The Knowledge Workshop, I was blissfully unaware of the juggling journey I was about to embark on which has been dubbed ‘Shannon’s Gigantic Juggling Journey’. And remember folks, from here on out I’ll be referring to a different sort of juggling. Let me explain: Many women believe that they are great at multi-tasking. Don’t take this the wrong way, it’s not that I don’t believe them (I’m sure many women out there are fantastic at this), it’s just that I cannot lie to myself, and the rest of the world. I struggle with multi-tasking. It has never really been one of my strongest skills. It’s a fact; it’s a thing you can’t deny, like the fact that I will love you till I die. My journey started with General English. All I was required to do was teach for three hours a day. I ended at 12:30 and by 13:30 I was at home, preparing for my next lesson. Ending as early as I did was a true blessing. As we all know, nothing great comes easily. If I wanted to reap the benefits and the experience of being a teacher, I needed to accept a few other tasks, literally. So, I was asked to mentor the TEFL trainees doing their practical part of the course. Every six weeks, for a two-week period, I work until 17:00, facilitating the General English classes and conversation classes led by the TEFLers. Besides the after-hour mentoring, I provide the trainees with feedback after their lessons and I assist Marian with their brief for the next day. It’s always such a pleasure observing these classes because I get to witness new ideas unfolding and whether they know it or not, I learn just as much as they do. Also, because I am at school until 17:00, my preparation for the next day starts later. I therefore, have to make sure that I juggle my time and responsibilities wisely. Then, TOEFL crept in. TOEFL is an American-based English proficiency test, which foreign students who want to study at an English University, need to take. When one of my students completed her General English course, it was time for me to start preparing her for this dreaded test. Before I knew it, we were sitting in a three-hour class preparing for her TOEFL test. Usually, the minimum amount of hours that you should set aside for this sort of preparation is 60 hours. My student wanted to complete her preparation in 30 hours, so you can imagine the pressure we were under. I had to do all of this while teaching General English and facilitating the TEFLERS when need be. It was rough, but the only thing I could do was keep my eye on the prize. That’s it? Of course not, who are we kidding? IELTS (which is British-based English proficiency test) was added to my list of ‘things to do’. 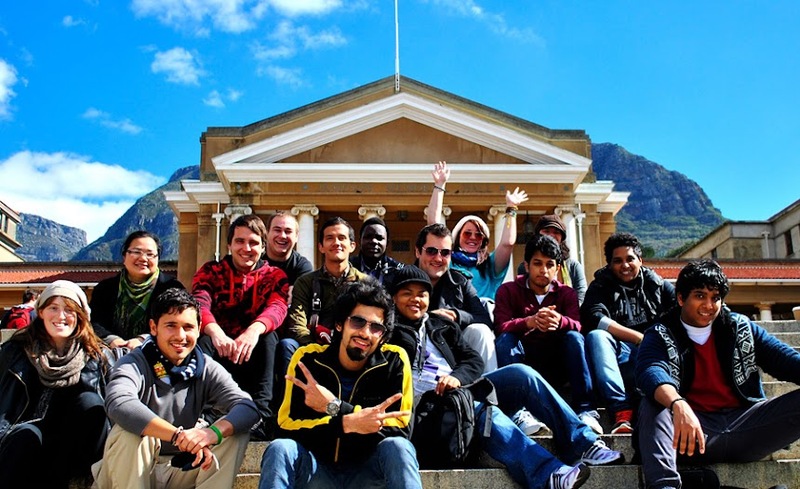 TKW received a new student who wanted to do the IELTS test as she wanted to study at UCT. My student signed up for 20 hours. So I taught her four hours a week for a period of five weeks. Just to back-track a little; preparing your students for these sorts of tests isn’t as easy as following a guide and that’s that. As the teacher, you actually have to understand each part of the test and do everything you can to make sure that you teach all the essential skills to the best of your ability. What I’m saying is that doing this requires a lot of hard work, homework, and of course (wait for it) more juggling. I say this because more work was added to my list. If I’m starting to sound ridiculous, then you’ve hit the nail on the head. It was tough in the beginning and still is. Juggle, juggle, juggle all day long. However, it’s more rewarding than anything else on this planet. My schedule has calmed down just a little bit. But trust me, it’s going to pick up again and I’m going to look like an ADHD circus monkey juggling my work like a teacher is supposed to.